Can Too is the proud fitness partner of The March Charge for the fourth year. 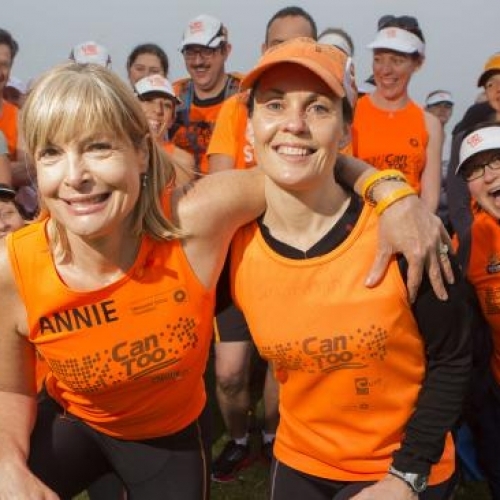 Can Too is a non-profit training program that’s professionally coached 15,000+ people just like you for running and challenge events who’ve fundraised $20,000,000 + for cancer research and prevention. Can Too training programs run on the simple values of “fun, fitness, friends and fundraising”. Every group is guided by an experienced and qualified running coach, supported by volunteer Team Captain and Mentors who’ve been in your shoes before as first-time runners and fundraisers, now giving back by supporting you through your fitness and fundraising journey.